This is our architect's favorite bedroom. 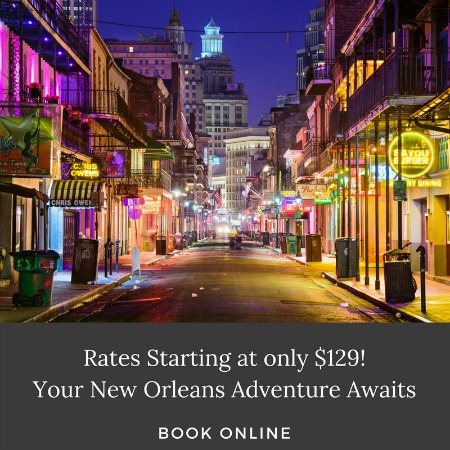 If you are looking for hotels near Magazine Street in New Orleans, we offer a unique experience in a top rated inn. Join us in our beautiful Evergreen room. Enjoy an elegant plantation size, walnut, Eastlake half-tester bed sets the style. The private bath has a shower only. 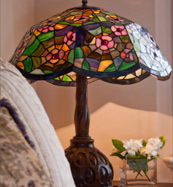 An enticing window seat nestled among the big bay windows beckons you to sit and daydream. 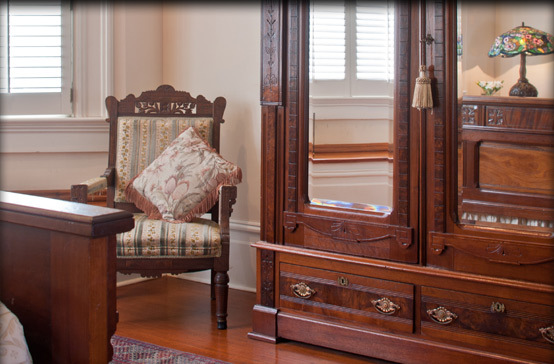 The Grand Victorian is a destination of choice for Tulane and Loyola University parents, and we welcome back many parents who choose to stay with us each year.